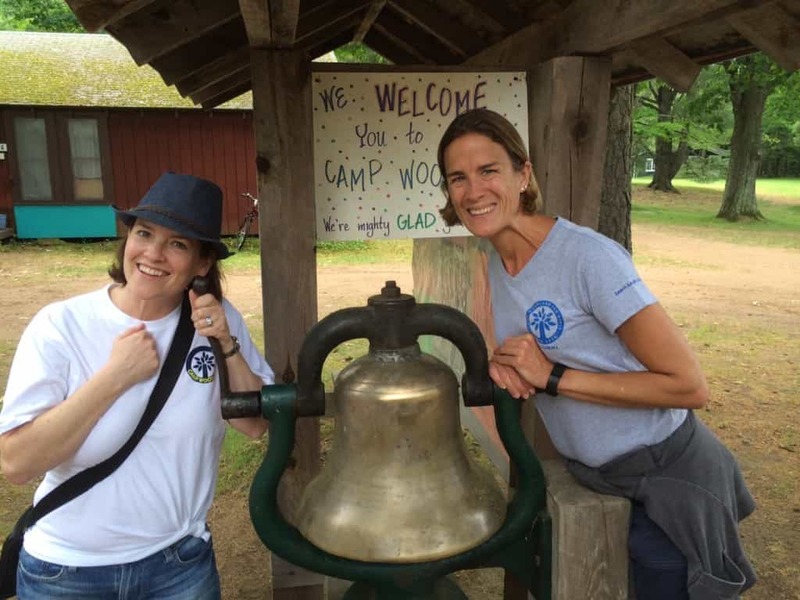 Camp Woodland | Reflections of a Camp Mom! 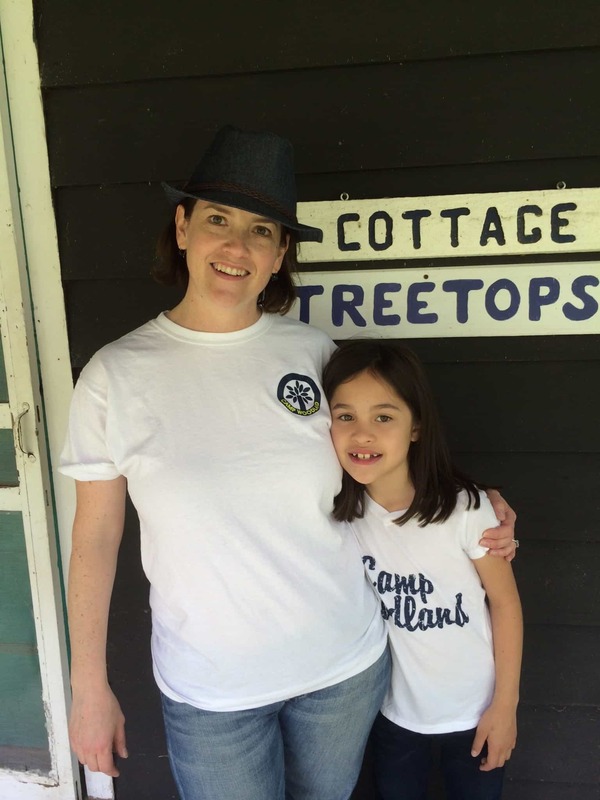 Reflections of a Camp Mom! Turning right onto County D from Highway 51 always brings out my reflective side. That curvy, wooded stretch of highway is the road back to when life was simple. At camp, whatever problems I had could be worked out if everyone worked together. I learned to look for the good in everyone and discover new things about myself. I controlled my own destiny. I picked my activities, reached for my goals and the possibilities were endless. I tried new things in a failsafe environment and learned by doing, doing, and doing some more. Woodland girls cheered one another on towards those achievements. Everyone was on the same page, working towards the same goals: fun, personal growth and learning things along the way. As great as being a camper was, three of the greatest memories I have of the camp experience came long after my days as a camper. Perspective is such a gift! As an adult you start to realize all of the hard work and effort that goes into running a camp. John and Anne Jordan ran a first class operation during my brothers’ and my era, and their children and grandchildren continue to do so today. In 2010, I took my son to visit Towering Pines, just to see if he would like to go to camp the following year. He got to see inside of a cabin, the waterfront, and looked at the TP museum where he saw his uncle’s name in many places. Our final stop was the dining hall where lunch was being served. I got to say hello to Mr. J, and introduce him to my son. I had not seen him since he attended my wedding 10 years prior, but he was so warm and welcoming. It means a great deal to me that my son got to meet one of the people who made TP what it is today. The following summer when I dropped off my son, we visited Woodland to show my daughter. She toured the Farm Zoo and observed a riding class. JoAnne Jordan Trimpe was there with her mom, Mrs. J, and they both met my daughter, who was so shy and hesitant and clingy that day. I am so grateful my children got to meet the elder Jordans since they were a big part of my life growing up as well as fond friends of my parents.My third greatest camp memory is hearing my sister-in-law ask why my brother did not press harder to get her to send my older nephew and niece to camp. Having not attended a camp like Woodland or Towering Pines herself, she just did not understand what it was all about. Their youngest son now goes to TP and loves it. When she visited him there for the first time, she “got it.” It’s been fun to see both her and my own husband “converted” to people who embrace the camp experience. My husband said he wishes his parents sent him to a place like TP when he was growing up.When my then almost 8 year old daughter returned from her first summer at Woodland she was no longer the shy, clingy little girl the Jordans met that summer day 5 years ago. Originally scheduled for only two weeks, she begged to stay another two, and ended up asking to stay the entire six week session. She’s already planning to stay all six weeks this summer. Favorite meal: Everything (except Fish Friday) and she discovered she likes salad, and REALLY likes the picnics. 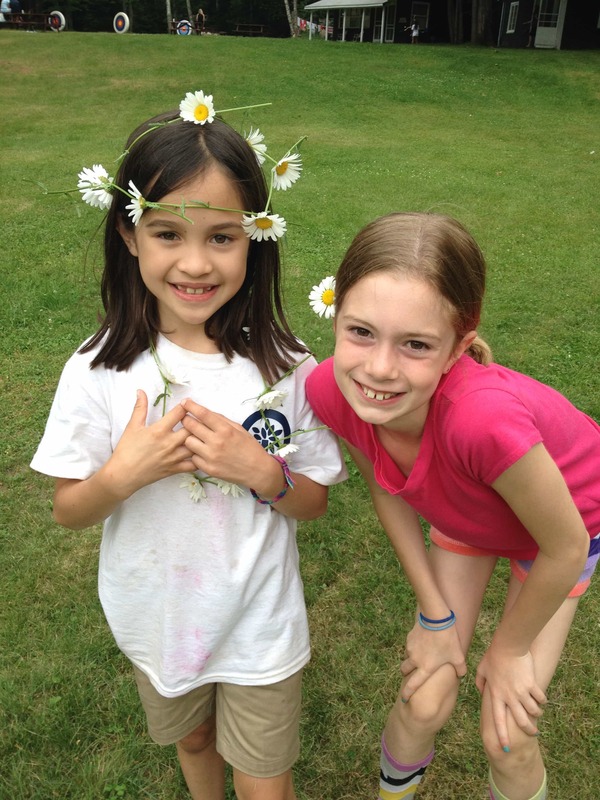 My daughter has been a little pampered and as a consequence, can be a little “particular,” so I thought camp would be good for her in that respect. She definitely needs to do more for herself, as she is perfectly capable. At camp, she learned that she can’t always get her way and she sometimes needs to think about the group and not just herself. Most importantly, she has learned the simple pleasure of being with a bunch of girls her own age, laughing, singing and having fun together. 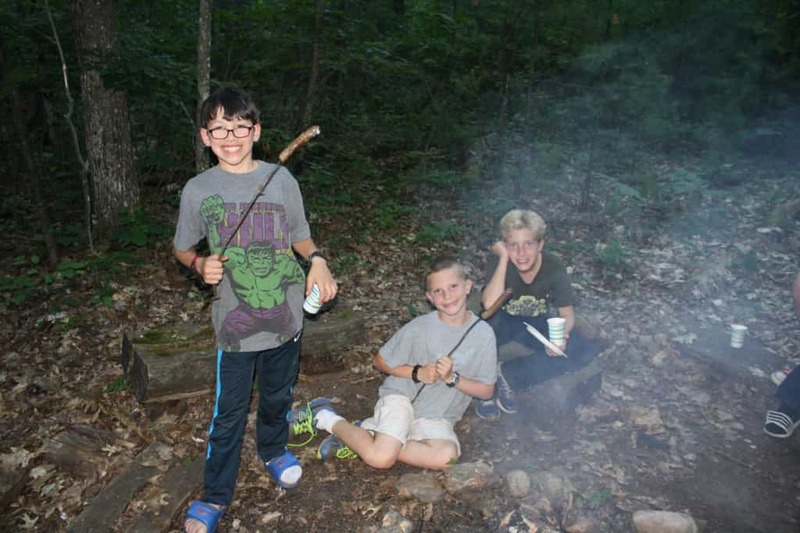 The question about whether a child will take to camp is sometimes a reflection of our own insecurities as parents. In the case of my daughter, she’s the youngest and I admit she is a little coddled. I was nervous she might not like some of the camp routines, but I recognize the value in her learning that there are other ways of doing things. Maybe I was really nervous that she’s not going to need me any longer? Despite that insecurity, there was one thing I did not feel any misgivings about! I was not one bit nervous leaving U.S. soil for a few days to go on vacation with my husband. I knew that anything that could possibly come up with my kids would be handled expertly by TP or Woodland. Thank you, to all generations of the Jordan Family, for bringing our children the Towering Pines/Woodland experience. The world is a better place with more campers in it!